PRESS RELEASE / January 26, 2018 Spencer, Mass. 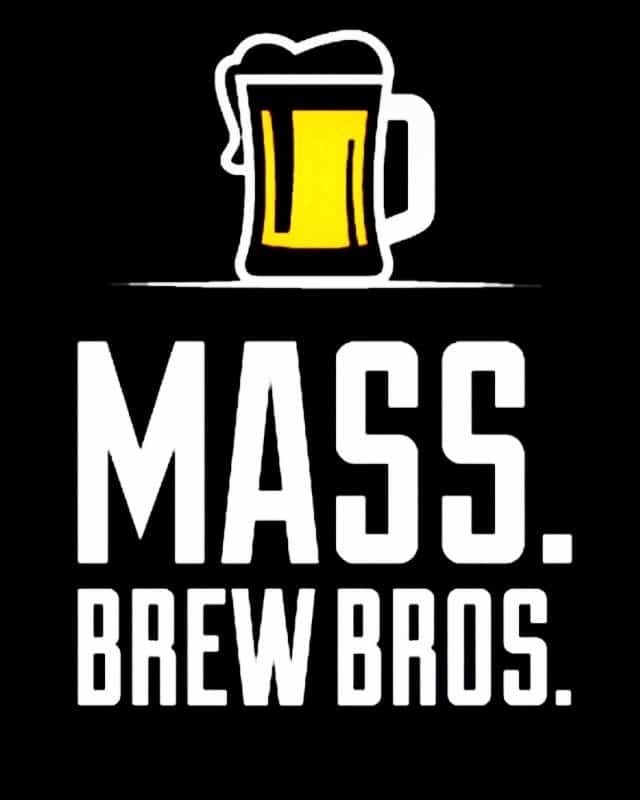 – St. Joseph’s Abbey in Spencer, MA is home to the first certified Trappist Brewery outside of Europe. The monks and brewmaster at Spencer Brewery have developed and received approval to produce and sell eight different beers, ranging from classic Trappist ales to traditional German-style lagers from the International Trappist Association. The Peach Saison is the latest beer to receive approval and is the first in the brewery’s new Fruit Series. Spencer’s Peach Saison is a light, refreshing, sessionable ale. Naturally carbonated through bottle-conditioning, its delicate peach flavor is highlighted through sparkling carbonation producing a fresh, clean taste (4.3% ABV). 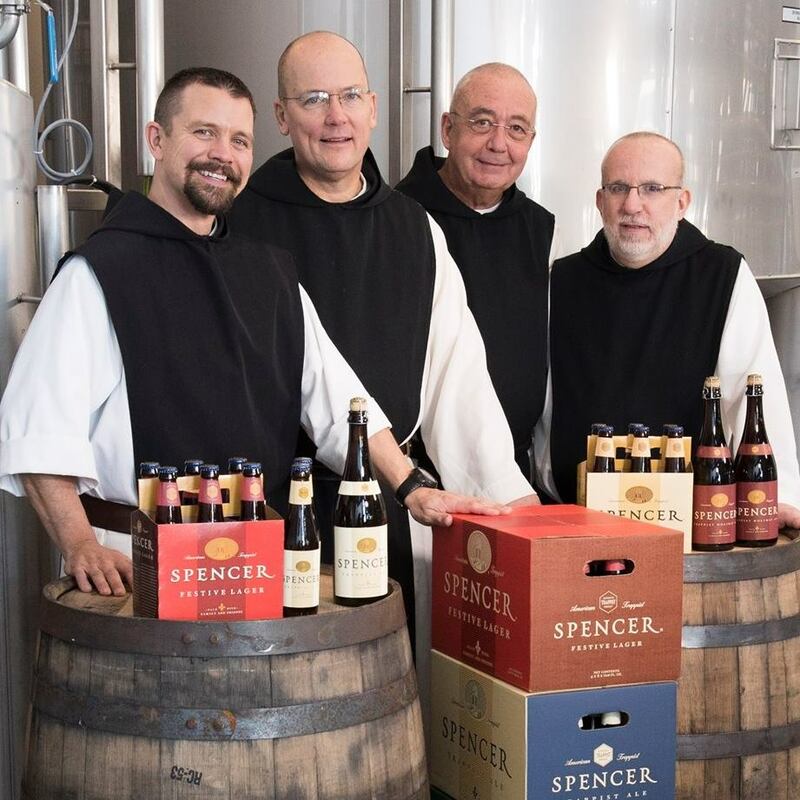 The introduction of a Fruit Series at The Spencer Brewery seemed natural to the monks as their monastery has been home to Trappist Preserves for the past sixty-three years. Having produced thirty different varieties of jams, jellies, marmalades, preserves and conserves this new brewery offering taps into decades of knowledge from working with fruit. 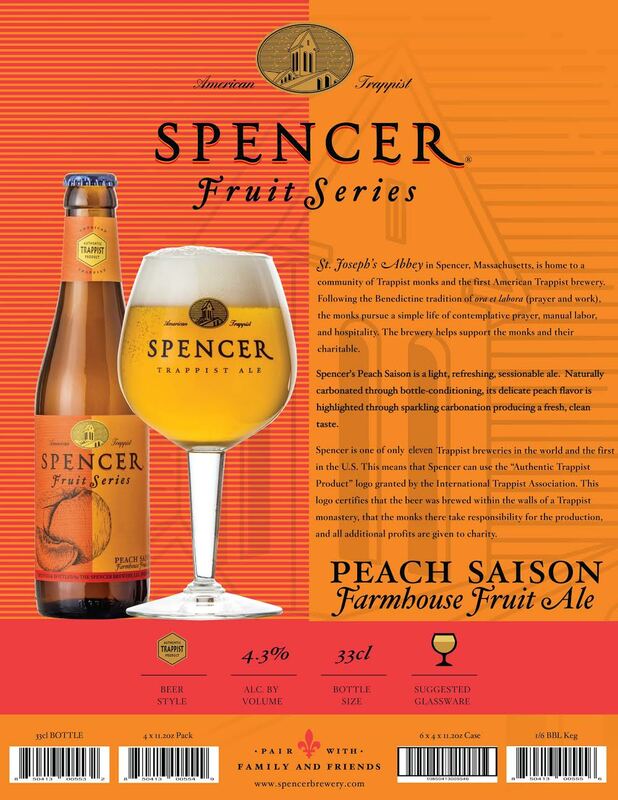 The Spencer Brewery’s Peach Saison will be available at retail in four packs, as well as on draft throughout The Spencer Brewery’s distribution network after February 12, 2018. We hope it is enjoyed, pairing with family and friends. Spencer, MA is home to St. Joseph’s Abbey, a community of Trappist monks who follow the Benedictine counsel of ora et labora (pray and work). 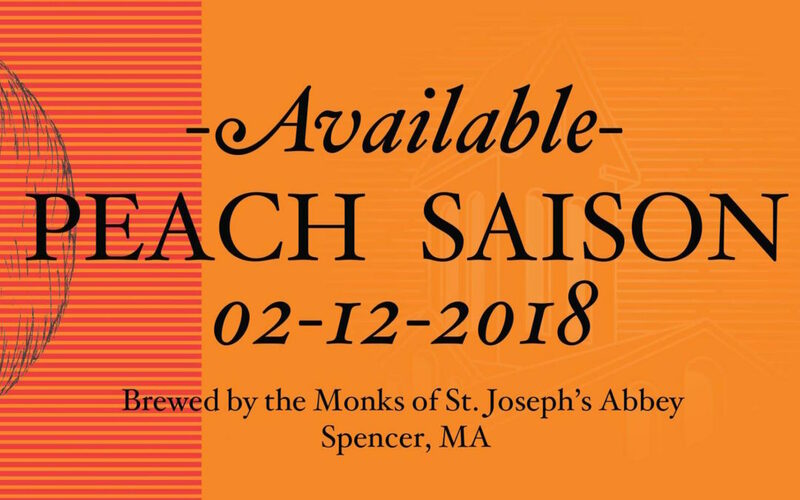 One of the ways the monks support themselves and their charitable outreach is by brewing and selling the beer that they make in The Spencer Brewery, located within the monastic enclosure. The Spencer Brewery opened in 2013 and is the first certified Trappist brewery located outside of Europe. Spencer brews both traditional bottle-conditioned Belgian style ales, like their European brothers, as well as American Craft beer styles. The Spencer Brewery team is excited about launching their new Fruit Series during 2018.